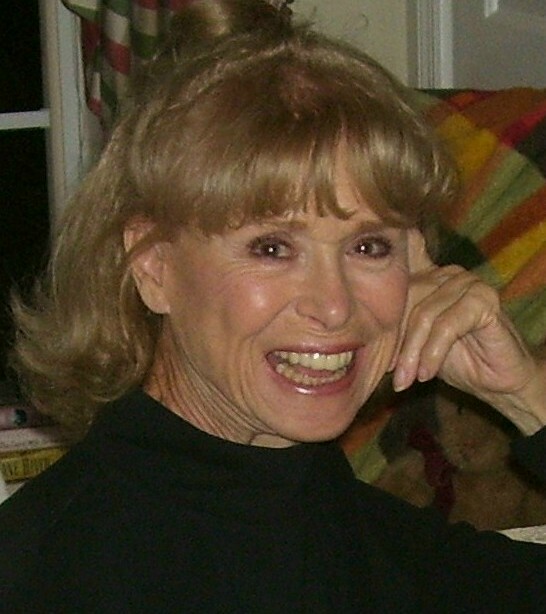 Award-winning author Bette Lee Crosby is originally from New Jersey, but now makes her home in Southern Florida where she lives with her husband Richard and a feisty Bichon Frise named Katie. A highly entertaining public speaker, Bette makes frequent appearances to support the various charities of women’s groups, and schedule permitting, she will join book talks and book club discussion groups. Before redirecting her talents to works of fiction, Bette enjoyed a noteworthy career in advertising and marketing working in a diversity of industries ranging from financial services to collectibles. She served as Editor-in-Chief for Innovations, a new product development publication, and as Contributing Editor for numerous trade publications including Giftware News, Supermarket News and Packaging Digest. As the U.S. Marketing Director for the distributor of world famous M.I. Hummel figurines, Bette served as a company spokeswoman and public relations figurehead. Much of her career, however, was spent in the challenging environment of advertising agencies—including a five-year stint as co-owner and Creative Director of the award-winning OTK Advertising Agency. If you’ve got interesting news, share it with Bette Lee and she’ll share it with her followers. She loves this social media stuff and has met some delightful people from halfway across the world as well as from the very next town. It’s easy to be part of the fun, just click on one of the links above and you’re there. And, to learn what’s new, exciting or on sale – click the “Add Me to Bette’s News List” button on the right hand side of the page. Every other month you’ll get a fun-filled newsletter sent to your e-mail. It includes contest news, special sales, and sneak-peeks at new books. So join the fun and subscribe now. To schedule Bette Lee for a speaking engagement, please email her. It’s wonderful that you are now blogging, you will find that it’s a lot of fun and a great way to express yourself. Looking forward to reading some more of your thoughts. It is such a pleasure to be able to see what you are writing and where you are speaking. Your books are so true to life and a real pleasure to read. For those now reading this, if you haven’t read any of Bette’s books you will thoroughly enjoy them. If you are like I am, you will not be able to wait a week for each chapter and will have to purchase the book so you can sit and read it in one day, like I did. Bette is an amazing author. Just wanted to put in my 2 cents worth….I think this blog is a great idea and I LOVE your books. “Cracks” is every bit as good as “Girl Child”. I haved loaned my copies to others, who also say how much they enjoyed reading them and that you are an excellent writer with HEART. I plan to let other Pen Women know about your blog. Please add my email address to your weekly updated….looking forward to Chapter 3. I thought I had left messages on your blog, but I will leave one on this page also. I hit the tab “about” because I was curious as to which person in the group of pics that you posted was you. I guessed wrong. I also was looking for Mary Ann Keller in your group. She is in our group in Brick, NJ and I knew she belonged to one in Florida, so I thought it was yours but perhaps she wasn’t at that meeting. Mary Ann is the one who e-mailed me about you and then I forwarded her e-mail to all my friends who love to read. I have heard back from two who thanked me and are loving the book too. I probably will go out and purchase your book because only getting to read one chapter a week is too slow moving for me. Although, I am reading other books at the same time. Just checking your blog again and what a tremendous improvement you have made in it! do like to whet our literary appetities! Kudos and keep the literary tidbits coming. I read the article about you in “The Florida Writer.” As a result I went to your website. Chapter 21 was enough of a hook for me so I went into the archives and read from Chapter One. I am very impressed by your writing and would like to use your book as Book of the Month for my my e-zine, THE INFINITE WRITER. Please visit the URL so you may be assured of the quality of the e-zine. I would appreciate hearing from you if you are initerested in having your book featured in August. If so, I would need a jpg. photo of you and one of your book cover. Also, a brief bio. Thank you for your courtesy; I look forward to hearing from you. Love your blog! I was hoping to spot a picture of your Bichon to compare with my Bichon/Poodle mix! I am midway through The Twelfth Child and I am part of your blog tour. I love this book. You have a new fan. Betty, I see we have much in common including living in south Florida (I’m in Palm Beach Gardens). You have an impressive bio and I wish you continued success with your writing.